Every employee has personal development plan. This plan reflects both the requirements of the job and your own career plans. Our training & development programme include ways to improve performance or help you acquire the skills to pursue new opportunities in the company. Adequate training programs are developed at the level of each operating departments. 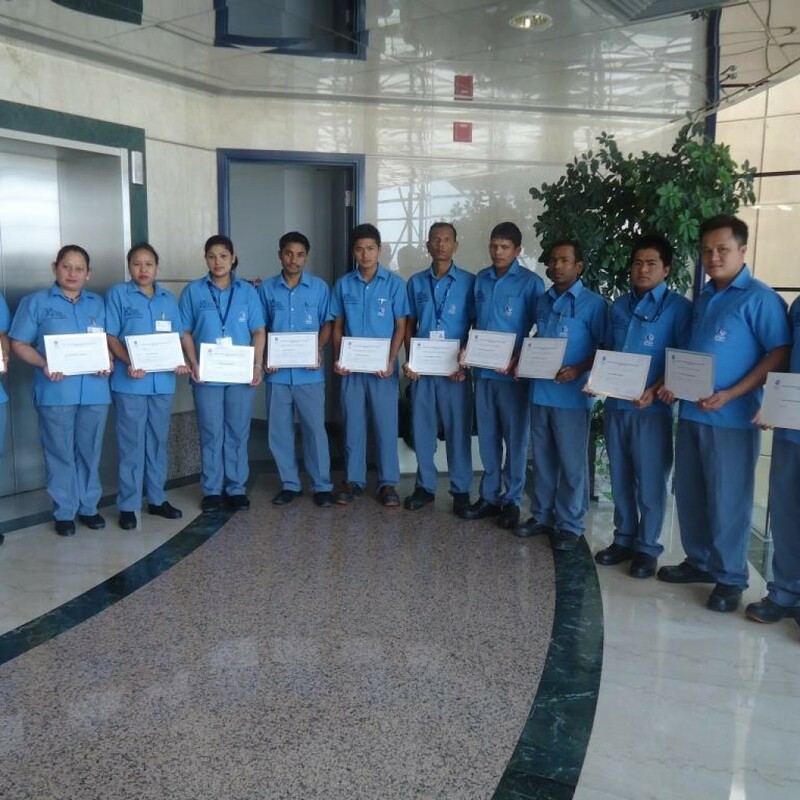 The objective is to retain and motivate employees allowing them to develop their skills within the framework. Our dedication to providing reliable and professional service is backed by our commitment to extensive staff training which meets the Cleaning standards. 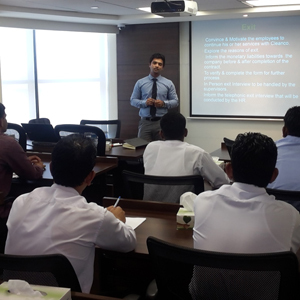 Cleanco has a leading edge training facility which is the first of its kind in the regional facility management industry. 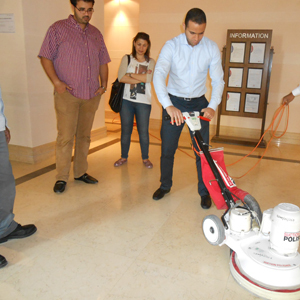 We impart highly professional hands on training which is affiliated and certified by British Institute of Cleaning Sciences (BICSc) . 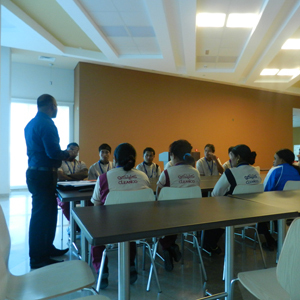 Necessary training is imparted to all our workers at our Training Centre. Our team undergoes elaborate training and re-fresher courses for Rope Access, and is certified to Level 1, 2 and 3 by IRATA. We have developed a comprehensive series of strategic Key Performance Indicators (KPI) and Key Performance Assessment (KPA), as part of our commitment to more evidence-based reporting and promoting an environment of alignment and self-management. These indicators provide a focus for measuring and creating shared value, sustainability and compliance.